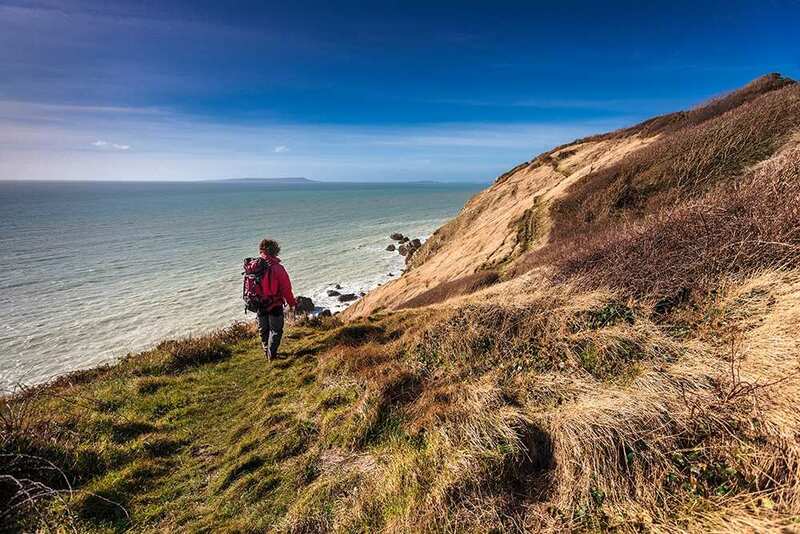 Walk the South West Coast Path through Dorset on a self-guided walking holiday. Accommodation, luggage transfer and custom holiday pack included. Lyme Regis to Poole along the dramatic coastline of Dorset and the Jurassic coastline. Nature shows its artistic flair here in Dorset, where high cliffs rear abruptly from tranquil shores and beaches of white sand. Sea-sculpted coves, stacks and arches draw the eye at every turn of the South West Coast Path, offset by the soft lines of the dunes of Studland Heath and the tidal flats of Poole harbour. History is well-represented in the old market town of Bridport, not to mention picturesque Lulworth and the medieval swannery of Abbotsbury. Book an extra night at Weymouth if you wish to enjoy the circuit of the Isle of Portland (15½ miles/25 km). Following in the footsteps of Lady Mary Anning, who popularised fossil hunting in Lyme Regis. 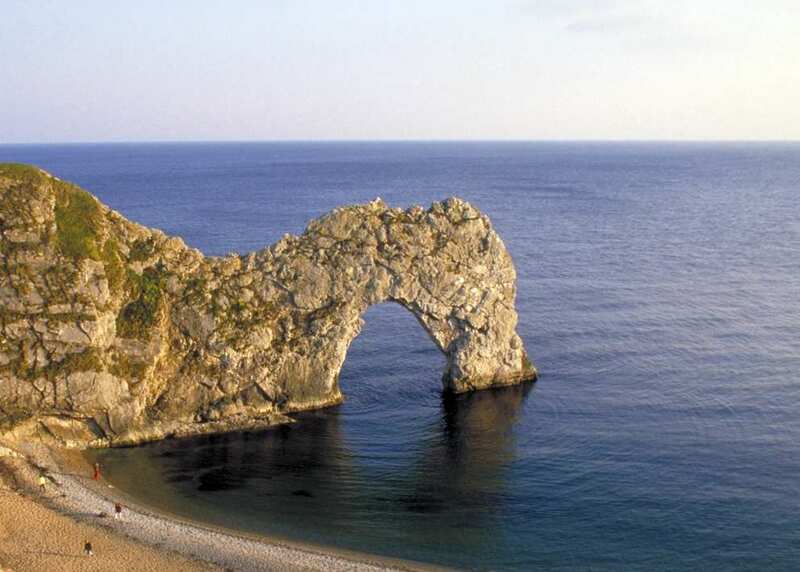 Tracing the stark geology of the Jurassic Coastline, with stand-out examples such as Durdle Door, Old Harry Rocks, and Dancing Ledge. Basking in your own achievement as you reach the end of the South West Coast Path in Poole. Please Note: The Dorset Coast Path goes through the Lulworth Ranges. These are normally open most weekends and around Easter, May Bank Holiday, Spring Bank Holiday and most of the summer period. More information on the Lulworth Ranges can be found on the MOD website. Before booking please check that the ranges will be open. A list of opening times can be reached by clicking here. An extra night gives you the chance to explore some of the towns and villages along the trail or to simply relax and give those weary legs a rest. Lyme Regis, with its beautiful harbour, fascinating museum and parish church with its amazingly large chained bible, is a good choice for an extra night. There is a lot to see and do in Bridport - a fine medieval church, interesting museum, thatched brewery with its waterwheel, some fine almshouses and a lovely old harbour. If you fancy somewhere quieter, consider Worth Matravers, a lovely village with fascinating history while Poole, with its rich history and wealth of fine old buildings is another good choice. By Air - The most convenient major city and international airports are Exeter and Bristol. By Rail - The nearest rail station to the start of the trail (Lyme Regis) is at Axminster (about 6 miles away). There is a rail station at the end of the trail (Poole). By Bus - Various bus services run to Lyme Regis and from Poole. From London - Trains run from London Waterloo station to Axminster. From here a bus/taxi will be required to Lyme Regis. Return To The Start - The easiest way to return to the start of the trail is to take a train from Poole to Dorchester. From there catch a bus to Lyme Regis.